Since swapping the television for a piano, The Hot House Four progressed from jamming in the lounge to a band in a matter of months. Willy Briggs together with his wife Lisa Briggs teamed up with daughter Lola Gaskin-Briggs and Dan Morley to play some early American roots music. 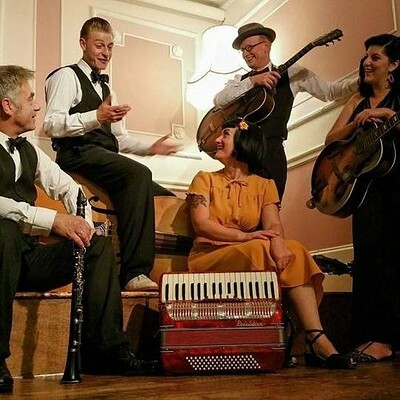 They blend a creative mix of Western swing, early jazz, blues, swing and rag time with twin guitars, accordion, lap steel, harmonica, mandolin and upright bass. In 2016, the band were joined by their clarinet player, Tim who has really added that extra swing. He now joins them at most gigs.